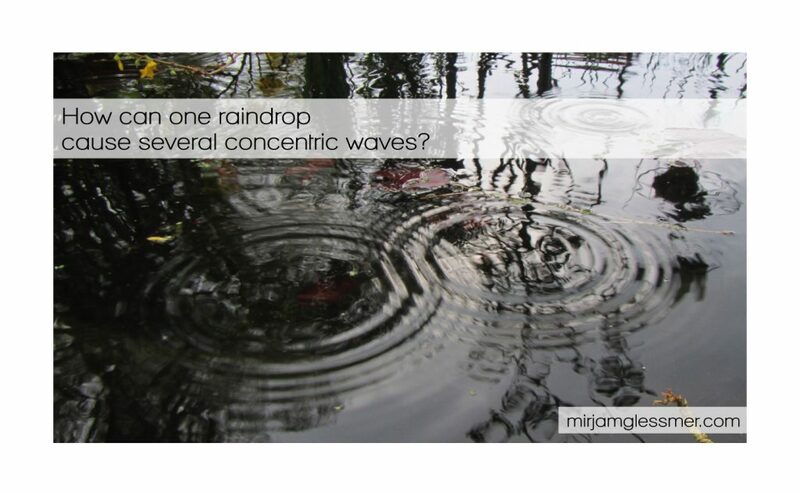 Rain on water — why does each raindrop cause several concentric waves? 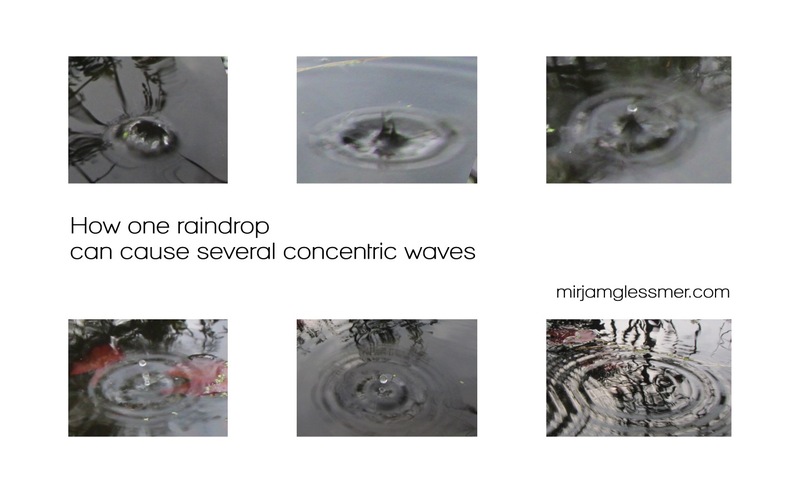 When we watch rain falling on a water surface, we observe that each raindrop causes several concentric waves with different radii. In my post on Tuesday I just stated that that was what we observe, but today I want to look into the explanation. This is what it looks like when it rains on a water surface. 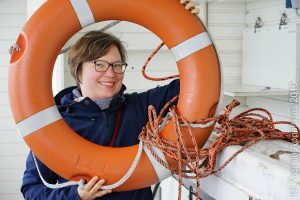 Not much surprise here! But when I was visiting my parents last weekend, it started to rain with nice and heavy drops that were few and far between. So I saw my chance, grabbed my camera and ran outside to try and capture exactly what happens when a rain drop hits the water surface. Not an easy task, since everything happens very fast and it’s impossible to anticipate where the next drop will fall, so I had to rely on my camera’s auto focus and just press the trigger as often as possible. And guess what? It stopped raining within a minute! How annoying is that? First, a raindrop just causes a dent in the surface, starting the first circular wave. 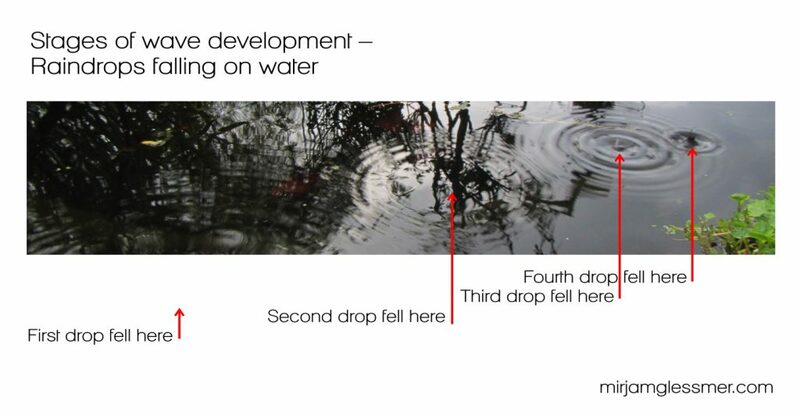 But if the raindrop was sufficiently large and fast, the surface will bounce back, throwing a secondary (and sometimes tertiary) droplet up into the air. 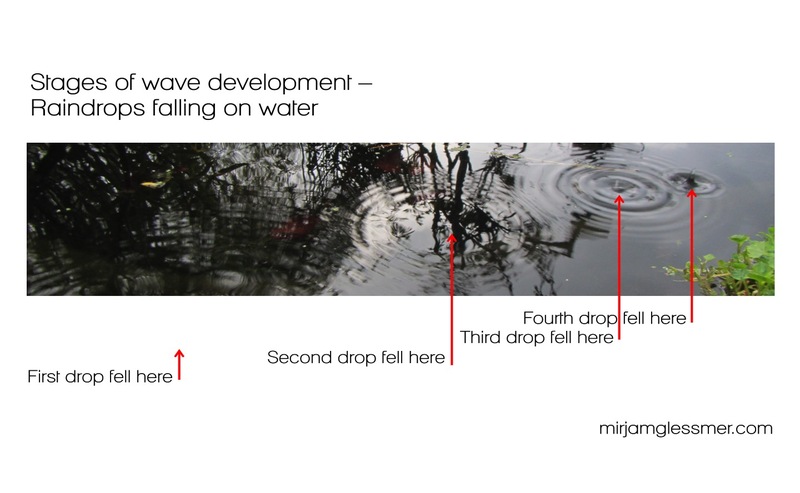 Those droplets will fall in the same spot as the first one, causing the smaller waves. Isn’t this amazing? I’ll definitely work on better pictures in the future, but I am not sure it can be done with my camera. To wrap up this post — a bonus picture: Four stages of wave development all captured in one (lucky) shot! Are you looking forward to the next rainy day now because then you can go outside and observe all this cool stuff? This entry was posted in observation and tagged droplet, rain, rain drop, secondary droplet, waves on April 20, 2016 by mglessmer.